Waterproof beanie with micro fleece lining. Keep your head and ears warm and dry this winter with DexShells, innovative engineered construction technology beanie. 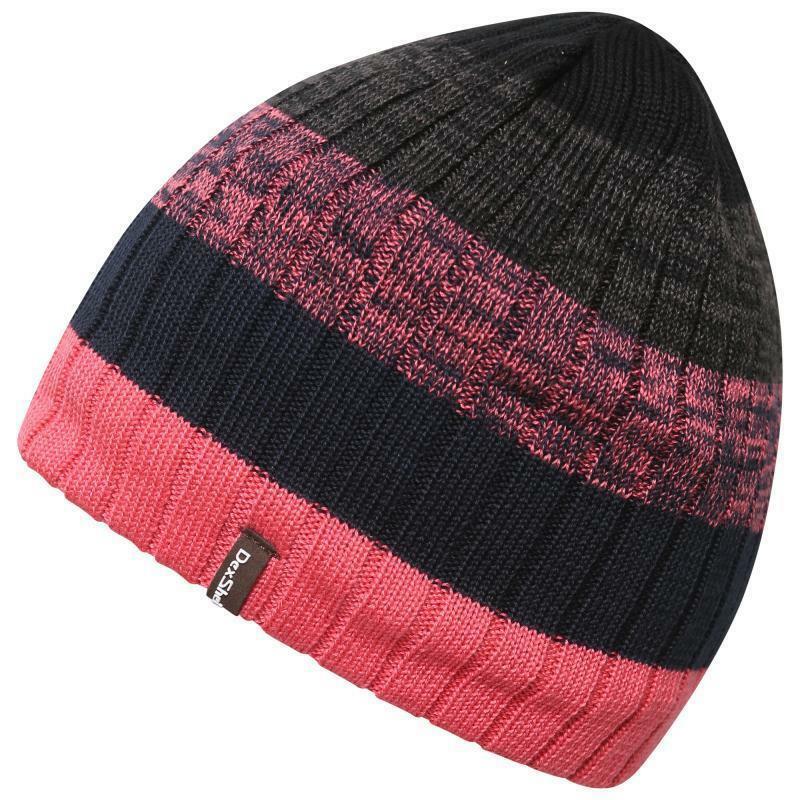 This beanie adds some colourful flare with the coloured gradient design. Completely waterproof with a microfleece to provide superb warmth and comfort, this is all the beanie you need come, rain, wind, sleet or snow! Nice hat. I had one of these a few years ago and sadly left if on a plane. This one is to replace it and sadly it is a bit larger. I am hoping that washing it may shrink it a little. Even so I still love this hat for the following reasons: it really is waterproof, it is warm and it looks great (I love the colours). What is not to like! Is very good but, I have an old hat with the same properties from Rohan and that just pips this on ultimate warmth. This is still great but the knitted effect is really for looks only, where the hat meets your face the Rohan knitted part really keeps you warm, on this one the knitting is there but although quite snug you don't feel so snug. I`ve actually decided this is better for walking as you don't get so hot, so really its a good thing. For emergencies and standing about you might want a muff underneath but as a wind and rainproof hat this is great for the money, and looks good too.